OPPO announces the Realme 2 at an event earlier this month. 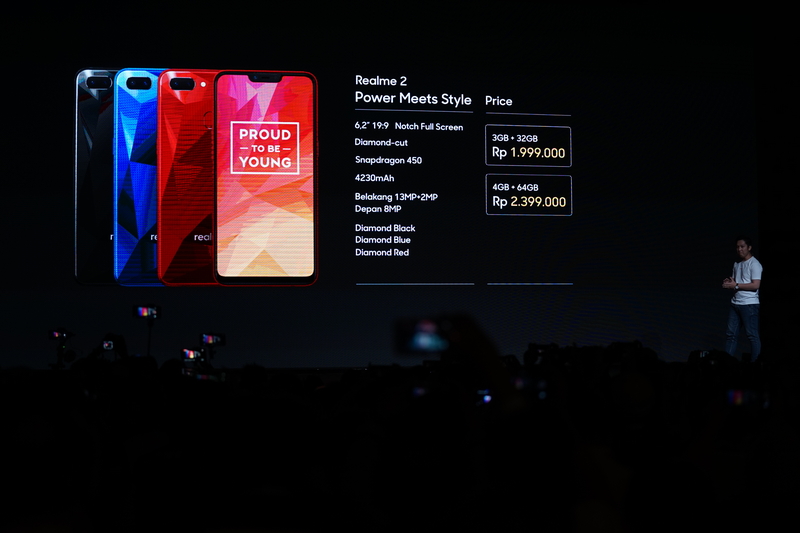 OPPO says its goal with the Realme 2 is to offer a smartphone for Asia’s emerging markets that is best in its class and offered at a highly competitive price. 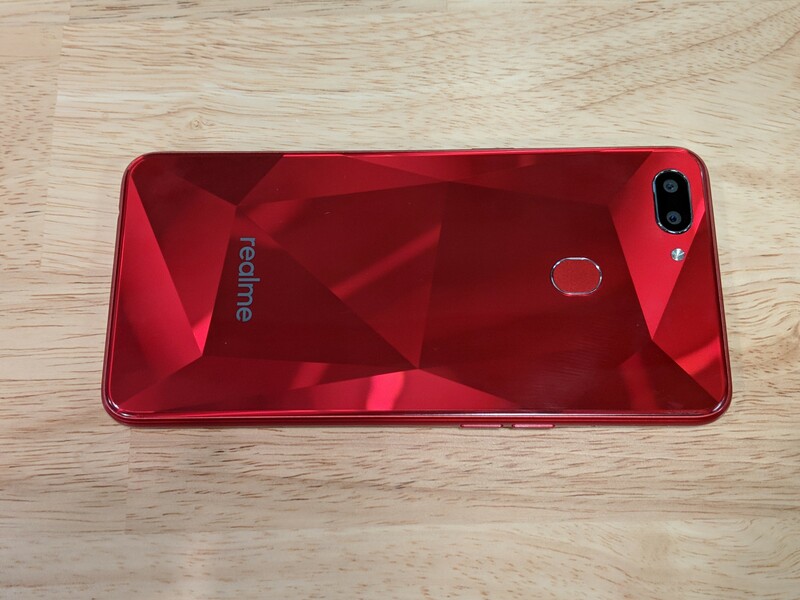 After spending a few days with a red version of the Realme 2, I can say it ticks both those boxes – a generous device for the measly US$120 price tag. What is impressive is that the phone offers a display profile and footprint that immediately brings to mind the iPhone X: 6.2 inches with a screen-to-body ratio of 88.8%. But for a tenth of the price. This is a wonderful thin and light device for lazy media consumption, whether it’s browsing websites or watching YouTube. It’s also so cheap that you don’t have to be precious about damaging it. Asia’s emerging market consumers: rejoice! For buyers in emerging markets across Asia, it’s a phone that will make them feel good and perhaps even a little taller next to those who can afford Apple’s latest and greatest notched variants. At this price, it really is a no-brainer if you’re on a shoestring budget. I was pleasantly surprised by the 720p display panel (271 PPI). As you can see from the pictures in this post, OPPO is to be commended for the screen’s brightness and contrast. Colours do pop and are vibrant. Pixels cannot be distinguished with the eye. You’re talking about a display that would have shipped on some mid-range smartphones not so many years ago. This whole phone is testament to the rapid pace of technology and dramatically falling prices for component parts that are not targeted at the very wealthiest buyers. It really is deeply satisfying to know that if you lose this, another one can be picked up for the price of a family meal on a Friday night (at least here in Singapore). It also shows how aggressive Asia’s smartphone makers, like OPPO, are being in terms of bang for your buck, a trend arguably started by OnePlus. But the generosity of this device doesn’t stop with the screen: you’re also getting a Qualcomm Snapdragon 450 octa-core processor with 3GB/4GB RAM and 32GB/64GB storage, which means this thing isn’t slow. In terms of battery, you’re getting – once again generously – a 4230mAh ultra-capacity battery. This thing will go all day and then some. Now I’m going to be honest with you, I haven’t done benchmarks or used the cameras excessively – nor have I booted up more demanding games or attempted to do any heavy video processing like you might on an iPhone X. I don’t think that is the point of this phone, nor of this review. Let me say it again: at $120, this is a very satisfying device. You are, I think it’s fair to say, getting a bit more than what you pay for. Even something like the new Nokia 7.1, which I would recommend buyers who have roughly triple the budget (US$350) due to its Android One credentials, is really getting much more into the mid-range than what OPPO is trying to do here. Let’s keep things in perspective, shall we. While I’m very public about being a stickler for vanilla Android (I just reviewed my current favourite Android phone, the Google Pixel 3 XL), I’m not overly offended by ColorOS, OPPO’s skinned version of Android 8.1 Oreo. It brings to mind Xiaomi’s MIUI. 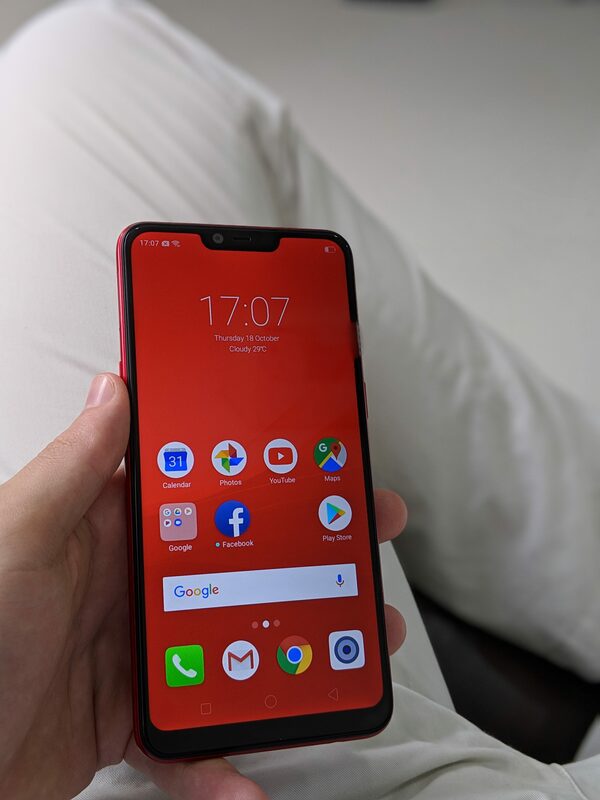 If I didn’t have my trusty Pixel for a day – admittedly a phone that costs about 7-8 times more than this – I wouldn’t curse the gods for lumping me with a Realme 2 and its 6.2-inch, edge-to-edge notched display. As I said at the beginning, it’s a great phone for media consumption. I wouldn’t be left in a bad mood, either, if I had to do some light work emails or other minor tasks on it for a full day. And that, I think, is really saying rather a lot of a phone that’s so very, very cheap. And it’s why I think OPPO has been generous here in making available a device for Asia’s emerging markets that must be shipping at close to cost price for them.